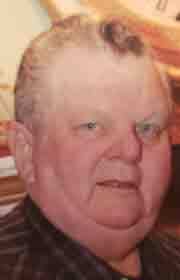 FARNHAMVILLE — Raymond E. Wilson “Breezy”, 74, passed away Friday, July 6, 2018 at Trinity Regional Medical Center, Fort Dodge. Funeral services will be 10:30 am Wednesday, July 11, 2018 at First United Church, Farnhamville with Rev. Dr. James Chestnutt officiating. Burial will be in Reading Township Cemetery, Farnhamville. Friends may call from 4:00 to 8:00 pm Tuesday, July 10, 2018 at Palmer Funeral home, Gowrie. Additional visitation will be 9:00 am Wednesday until the time of service.